The people of Esie-Ijan Ward and Associates of Engr. Nurudeen Adeyemi Balogun expressed their total support for his Senatorial aspiration in the coming 2019 general elections on APC platform. The Leader of Like Minds Women group in Kwara State, Hon. Toyin Jimoh and members, extolled the humanitarian virtues of Engr. Nurudeen Adeyemi Balogun, describing him as "a kind hearted being that must be supported in this journey". According to them, "Nurudeen Adeyemi is a golden illustrious son of this (Esie) land. He is different from those 'Kanankanas' who are enemies of Kwara state". They urged all and sundry to ensure the actualisation of Adeyemi's Senatorial bid come 2019. 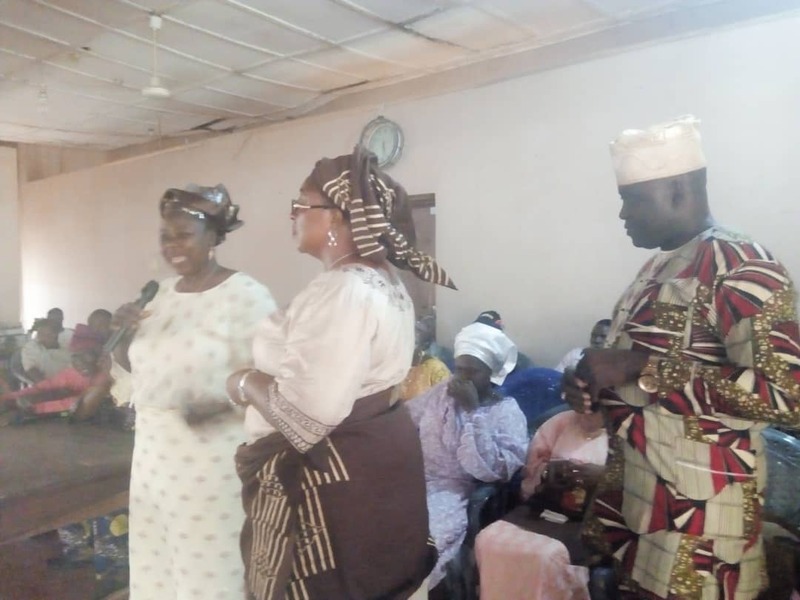 In her contributions, Prophetess Focus Adeboye, former APC Women Leader, Esie-Ijan l, said "Nurudeen Adeyemi's style of politics is benevolent to the masses of Kwara South, unlike the Sarakites". She also stressed that their "decision to associate with Adeyemi was as a result of his patriotism even before meeting him personally". Other speakers at the Ileya Parley, drumed maximum supports for Adeyemi and urged those that do not have PVC to ensure they get it before the deadline. Reacting to the encomiums showered on him, Adeyemi appreciated those present and those who were unavoidably absent, for their all time support. He promised a good-for-all representation and legislation at the Red chamber with the support of the people. Communities such as Fulani, Baruba, Nupe and others, were powerfully represented at the parley. The event was chaired by the Esie-Ijan APC Ward Chairman, Com. Adeoti with other Party Stalwarts like Princess Babalola, Engr. Okunribido, Hon. Segun Agboola, S. O. Babatunde, Odetundun, and others, were in attendance.